[Religion News Service] A dozen pastors known for their consistently stellar performances in the pulpit made Baylor University’s list of the most effective preachers in the English-speaking world. The list of 11 men and one woman, the Rev. 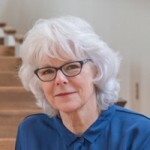 Barbara Brown Taylor, an Episcopalian, was chosen by scholars of homiletics, or the art of preaching and was released May 1. “In a world where talk is cheap and there seems to be no end to it, the preacher has to recover the priority and power of the word,” said W. Hulitt Gloer, director of the Kyle Lake Center for Effective Preaching at Baylor’s Truett Theological Seminary in Waco, Texas. “Words are the tools of the preacher and that gives them incredible power,” Gloer added. The dozen preachers in the top 12 — academics, pastors and authors — were picked from nearly 800 nominees. Preaching experts in the Academy of Homiletics and the Evangelical Homiletics Society judged how much nominees’ preaching matched criteria that included their selection of biblical texts, the relevance of their sermons, and their ability to deliver them in language people can understand. It’s been 22 years since Baylor last produced such a survey. Four names appear on both the 1996 list and the one released Tuesday, including Taylor. The Baylor preaching center sent the 1996 criteria to more than 500 homiletics professors for their input on criteria for the new survey. Members of the two homiletics societies were then asked to nominate as many as five people who met the new criteria. A total of 179 members — more than 30 percent of the membership of those two societies — submitted names. The final choices were narrowed down from 39 individuals who received the largest number of nominations. Correct me if I am wrong, but I understand that Taylor left the Episcopal Church and Christianity. Her “celebrity author/preacher status” may have caused a burn-out. Or did she “recover” and return to our faith? Thanks! Our understanding is that the Rev. Barbara Brown Taylor has not renounced her orders. Correct. Perhaps her fairly recent book, “On Leaving Church,” created that impression. They missed Dr. Fredrica Harris Thompsett…an outstanding teacher and preacher!!! I believe it was the title, “On Leaving Church,” that led folks to believe that she had truly left the church. That’s what the title suggests, but on reading the book I had the impression that she was simply leaving congregational ministry, not the church nor the priesthood.